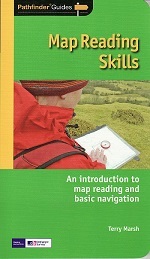 It makes sense to be safe in the countryside and this companion title to the best-selling Pathfinder and Short Walks series provides a practical and easy-to-use introduction to basic map reading and navigation skills for walkers. help you make the most of the area. For 25 years Pathfinder Guides have been the definitive companion to the highways, byways, hills, moors and coastline of Britain. The Pennine Bridleway, when complete, will run for some 250 miles (560km), and will be Britain's first purpose-built long-distance bridleway. This book covers the southernmost section of the Bridleway, the first to be opened. To replace the previous two-volume guide to the Pennine Way, there is now an entirely new one-volume guide for the twenty-first century walker. The Pennine Way, Britain’s best-known National Trail, winds for 253 miles (407.5 km) over wild moorland and through quiet dales following the backbone of northern England. Crossing three national parks – the Peak District, Yorkshire Dales and Northumberland – this superb footpath showcases Britain’s finest upland scenery, while touching the literary landscape of the Brontë family and Roman history along Hadrian’s Wall. SAVE money with this bundle of NINE Explorer maps that cover this classic walk. 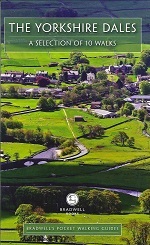 This volume features the southern section the Pennine Way - a 268-mile (431-km) National Trail stretching along the backbone of Britain. North Yorkshire, giving comprehensive coverage of the county. Discover the wonders of the North Yorkshire Coast along with the top 10 photography locations in the North York Moors with this detailed guide book. 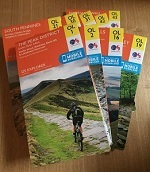 This Pocket Walking Guide to The Yorkshire Dales offers the visitor a selection of 10 walks suitable for all the family. The walks have been carefully chosen to give a broad selection of walks around the region. Each walk has a brief write-up about the local area and then a way pointed description guides you around the walk with a useful map to help you follow the route. The fifteen circular walks in this book allow you to take in the beautiful scenery of East Yorkshire, and then guide you to a good country pub, recommended for its food and hospitality. These books come in a handy format that really does fit neatly into the pocket! There are fifteen cracking country walks of between 2 and 6 1/2 miles in each volume, and the pubs have been chosen for their good food as well as their range of ales. These books come in a handy format that really does fit neatly into the pocket! There are fifteen cracking country walks of between 2 and 6 1/2 miles in each volume. This fascinating ramble through the history of walking delves into our relationship with the British countryside. 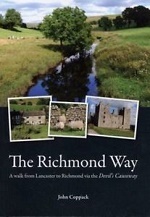 This guidebook provides clear, easy to follow route directions for the 60 mile-long Richmond Way, passing through a unique area of Northern England. This book is intended for the walker who has an appreciation of the natural landscape and an interest in how it has developed over time.